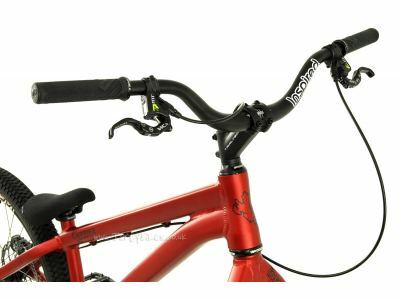 Please note: The bike, as shown in the product images, is built using the Magura MT7 with HC3 Blade Upgrade. 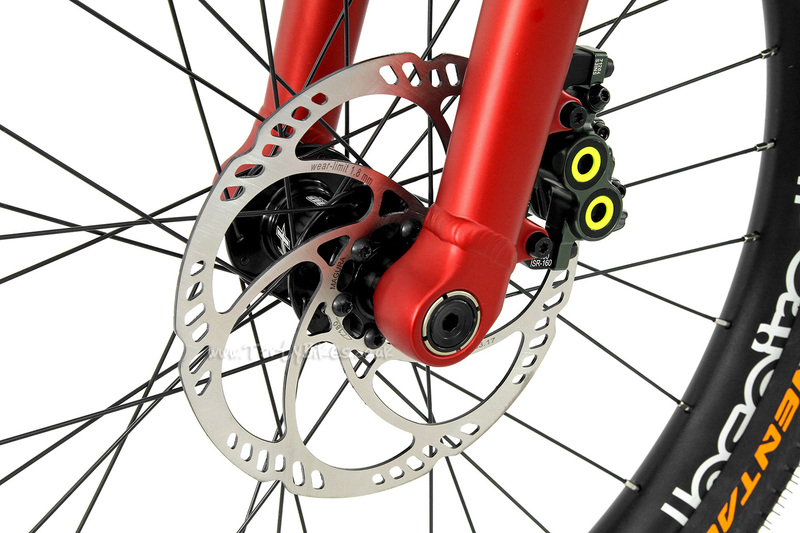 The standard Skye Team V3 is supplied with Hope Tech 3 Trial Zone brakes. 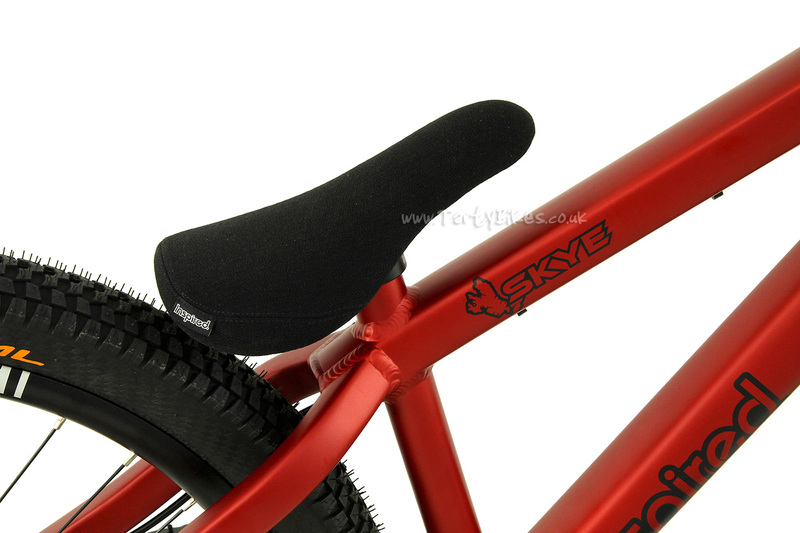 - The latest generation of Danny MacAskill's signature bike, the Inspired Skye Team V3! - Every part of the frame and fork has been re-designed for the V3 edition of the bike, making the bike stronger than ever before whilst also making it the lightest iteration of the Skye to date. 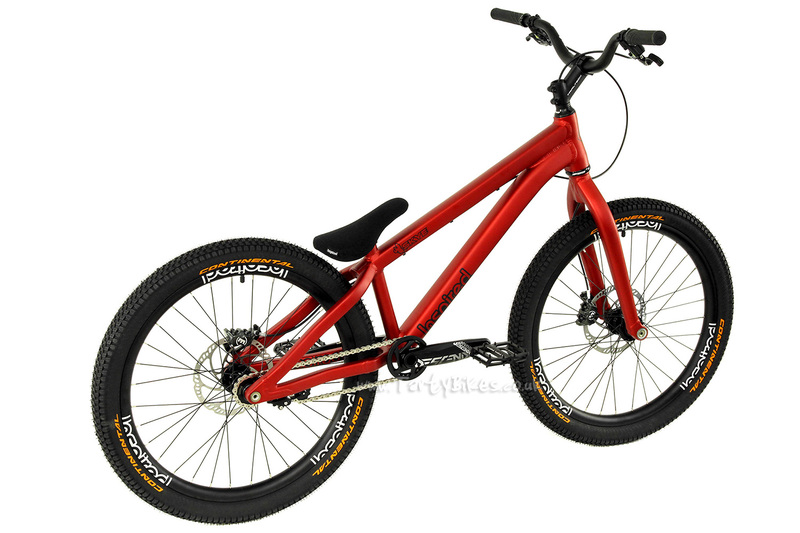 - New for the latest bikes, the Skye is fitted with Inspired Team V2 rims and Hope Tech 3 Trial Zone Brakes as standard (Magura MT7 Brake Upgrade available at the Checkout). - New hydroformed front triangle is much stiffer and stronger than ever before, largely in part to the bigger square-profile down tube. This tube has a much larger junction to the top tube and head tube, making the front end - a crucial area on these bikes - as strong as possible. - The rear face of the tapered head tube is machined square to give a nice flat area to weld on, improving the strength of the join. 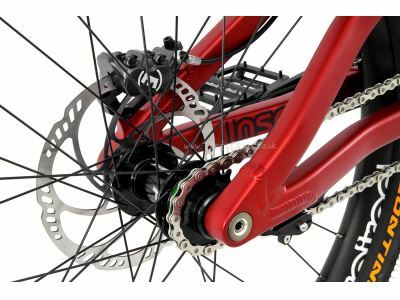 - The frame still uses a 12mm through axle for the rear wheel, but revised dropouts use an evolution of their previous system. 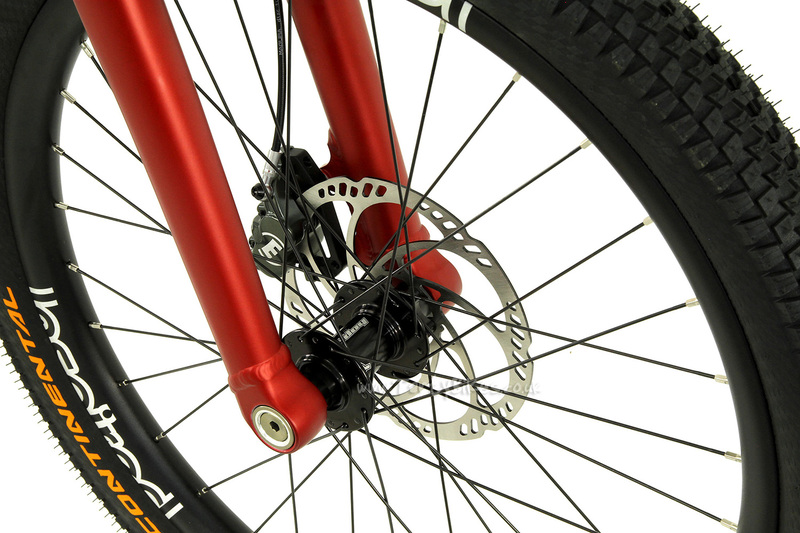 The axle now screws in to a splined boss on the frame, so should you damage the threads it is simple to replace. 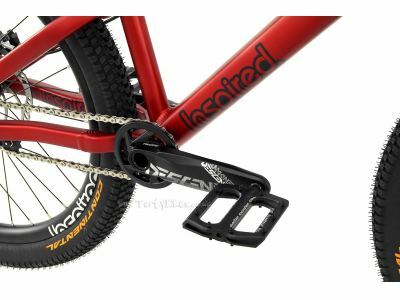 - Super chunky +20mm positioned IS disc mount is one piece with the non-drive side dropout, making the mount so strong no bracing bar is required! 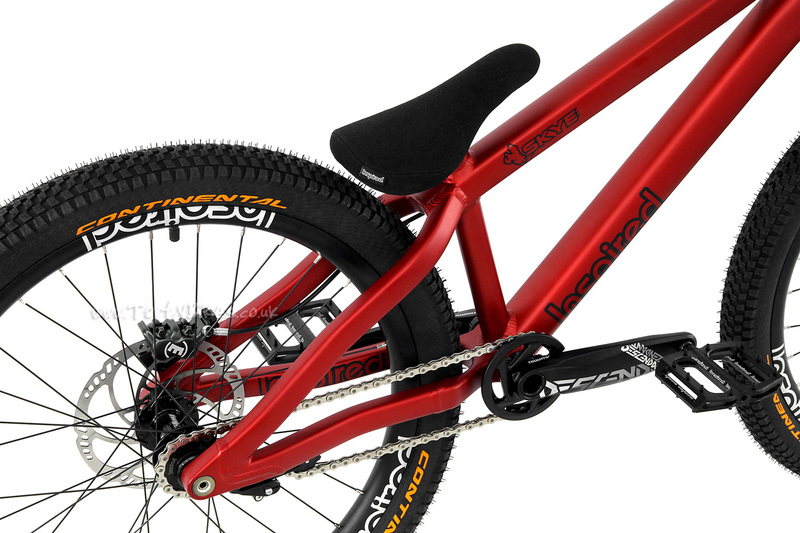 - The BB yoke is a 2-piece design, with each half machined out internally to save as much weight as possible whilst making sure it is stiff and strong enough to cope with the demands of Danny's riding. The two are welded together along the centre-line of the yoke, a design not previously seen in trials frames before. 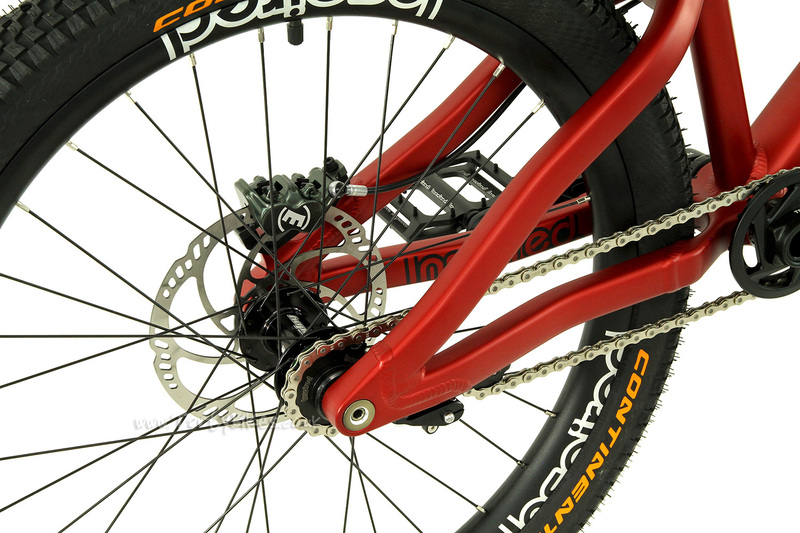 - The BB is a standard threaded design making it compatible with a wide range of cranks. 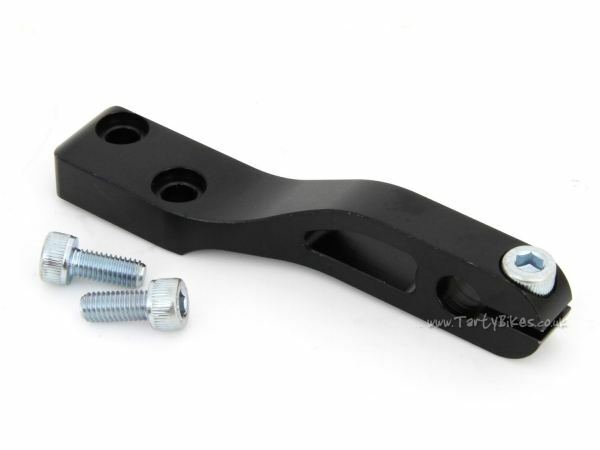 - The neat single-sided chain tensioner is mounted to the frame using a new, lower profile replaceable integrated mount. 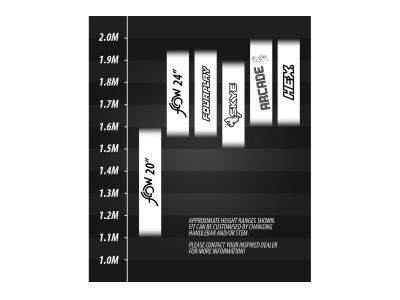 - A completely new seat stay/seat tube/top tube junction has been proven through extensive testing to be stronger than ever before. 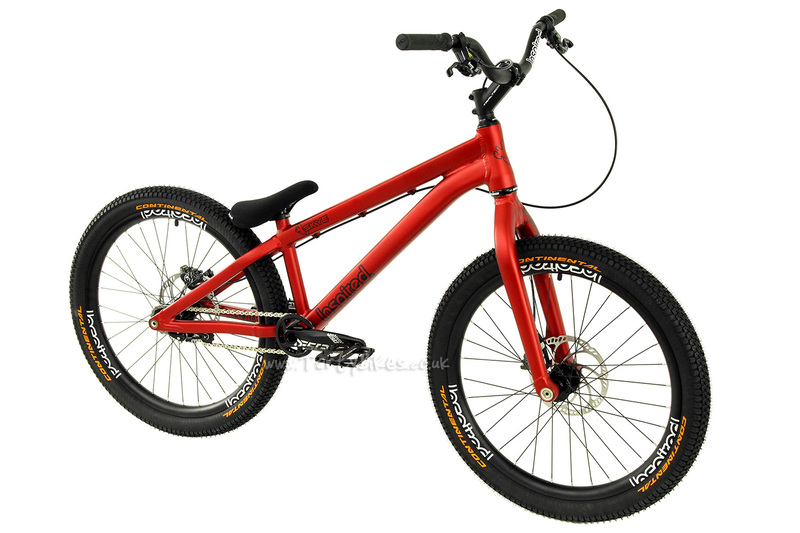 - As with the frame, the V3 forks are a completely new model compared to the last generation. 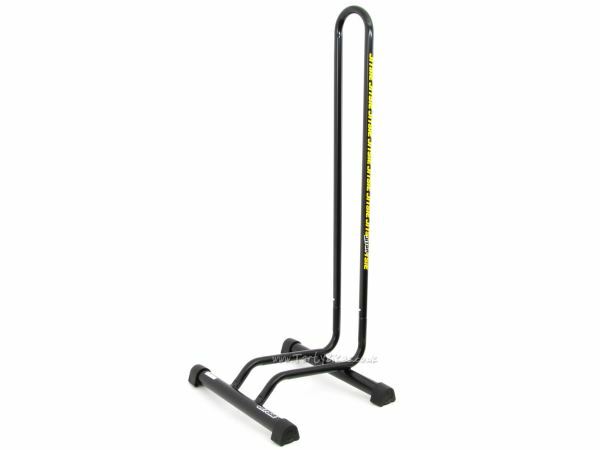 - Chunky legs provide unparalleled strength and stiffness, but also maintain a low overall weight for the fork due to their tube thickness. - A completely new steerer tube and crown design is more than up to the job of coping with the extreme forces Danny puts through the front end of his bike. 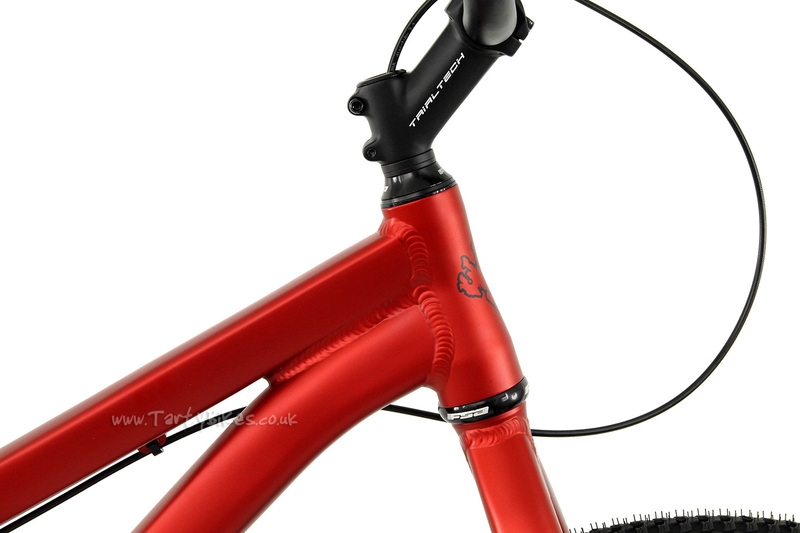 - The V3 forks retain the same tapered steerer tube as the previous generation of fork, again making the forks as strong as possible. - New top cap design screws into the threaded steerer tube and allows the hose to be routed through the steerer if required. 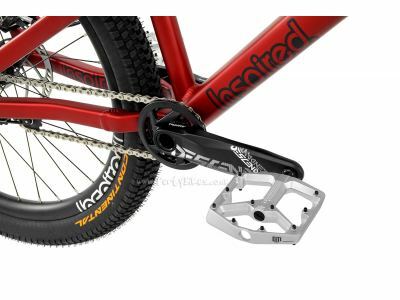 We can send the bikes with the hose through the steerer if you like, please also purchase the "Other Hydraulic Disc Brake" option of this Workshop Item if you would like the hose to be routed through the steerer. 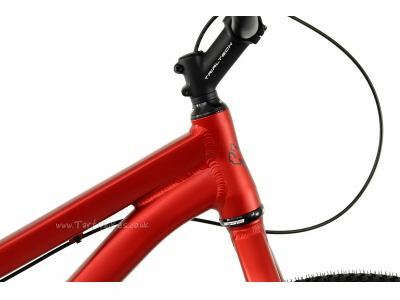 If you do not add this item, the bike will be sent with the hose not routed through the steerer as shown in the pictures. - 20mm through axle CNC-machined dropouts are welded on to the lower of the fork legs in a unique way, and also use a similar splined boss system to the rear through axle arrangement. 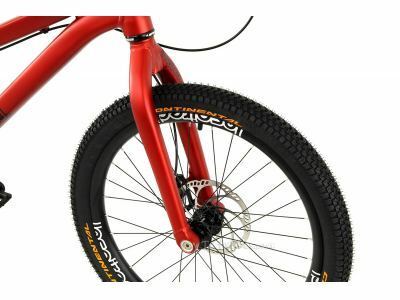 - Front tyre: Continental Danny MacAskill Air King 24 x 2.4"
- Rear tyre: Continental Danny MacAskill Air King 24 x 2.4"
- Please note: Front brake will be not supplied routed through the steerer tube unless the additional service described above is purchased. 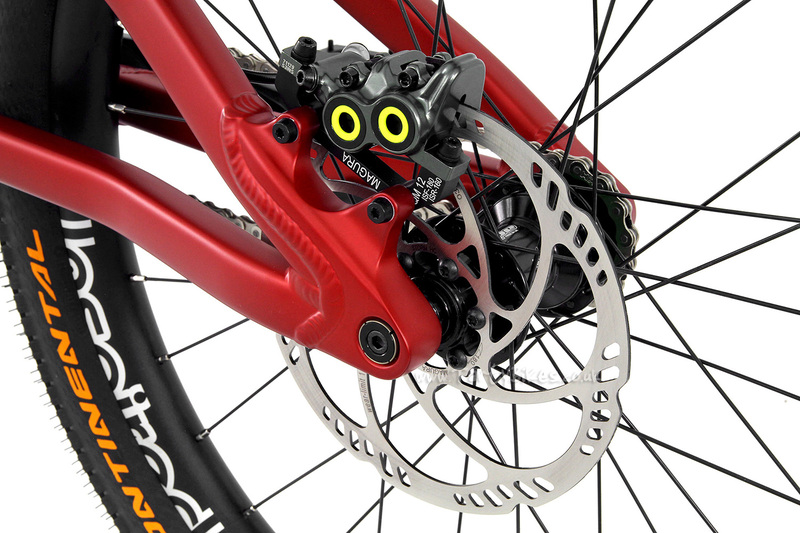 - Now also available with Magura MT7 With HC3 Lever Blade brakes (180mm) as an additional upgrade if you wish. 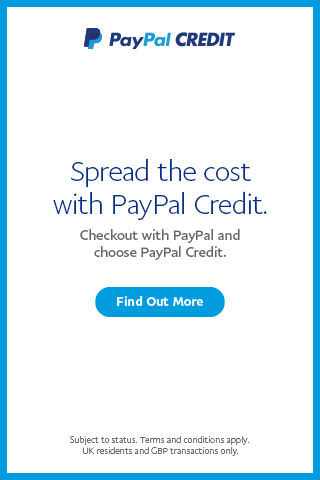 This option is available to add once the bike is in your basket. 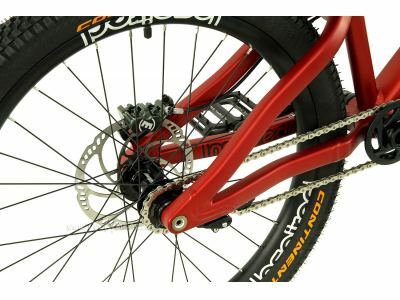 - Chain: KMC Z610 HX 3/32"
Changing your order would be no problem. If you'd like to do so, either give us a call or an e-mail and we can get the ball rolling for you. 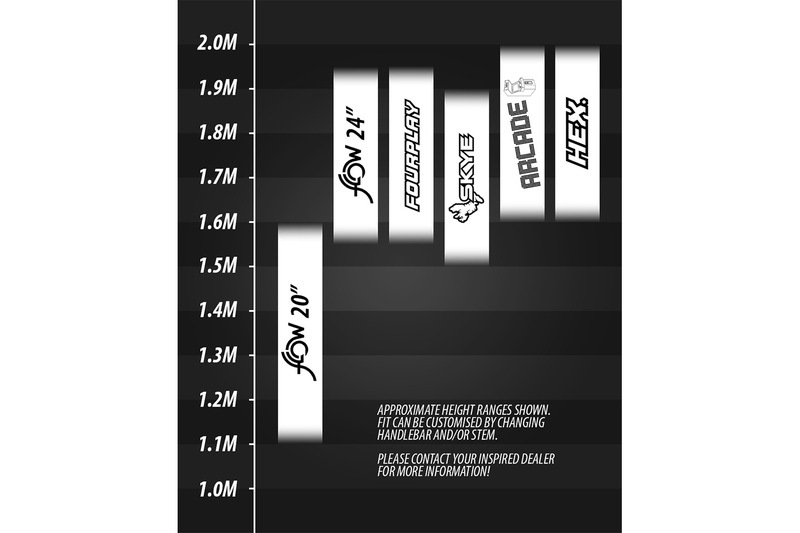 One way to think of it is that the Skye is an upgraded Fourplay Team. They share many similar characteristics (e.g. the tapered head tube, integrated chain tensioner, hollow dropouts, integrated disc mount and so on), but the Skye has a few choice upgrades. 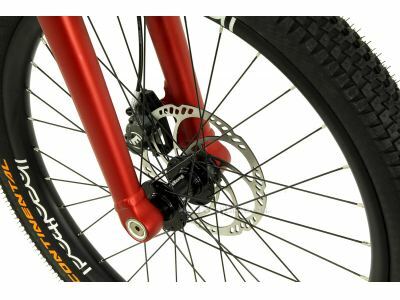 For example, rather than the bolt-in 10mm rear hub and 15mm front through axle on the Fourplay, the Skye features a 12mm rear through axle and a 20mm front through axle. 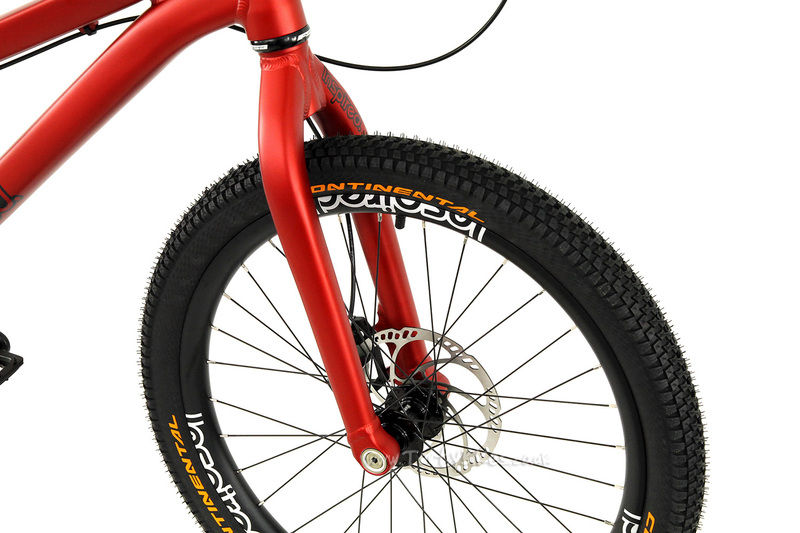 This gives improved stiffness and rigidity at both ends of the bike. As well as these 'obvious' changes there are subtle ones too. The rear of the Skye head tube is flattened off rather than rounded - the benefit of this is that when the top tube is welded to it, there isn't the stress riser associated with where the very top end of the top tube would be welded to a round head tube. Not necessarily a huge detail, but it ensures the Skye has that extra bit of strength. It's these little details that help set it apart. 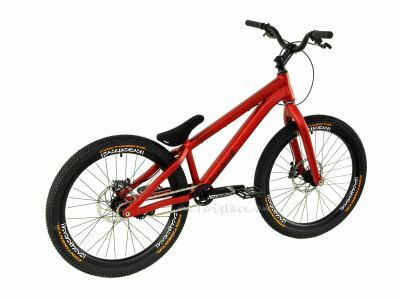 They're both designed for a very similar riding style, with the only real difference being the Skye is a little shorter so it will feel a little more compact and stiffer. 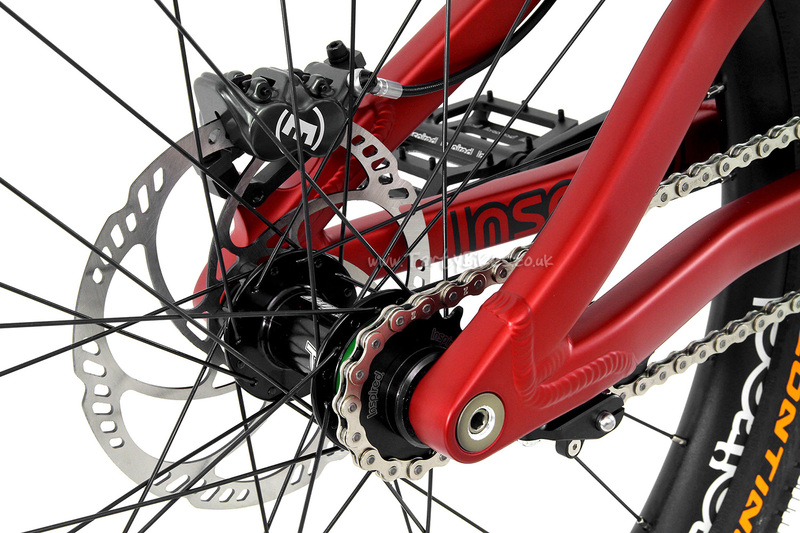 This means that for some moves it's easier to move the bike around under you, and translates to quite a playful feel. Some riders might find the extra reach of the Fourplay more beneficial for trials-orientated moves though. For your height, either the Fourplay or the Skye would be suitable. We know of riders way over 6ft riding the Skye, so the shorter reach shouldn't be an issue for you. 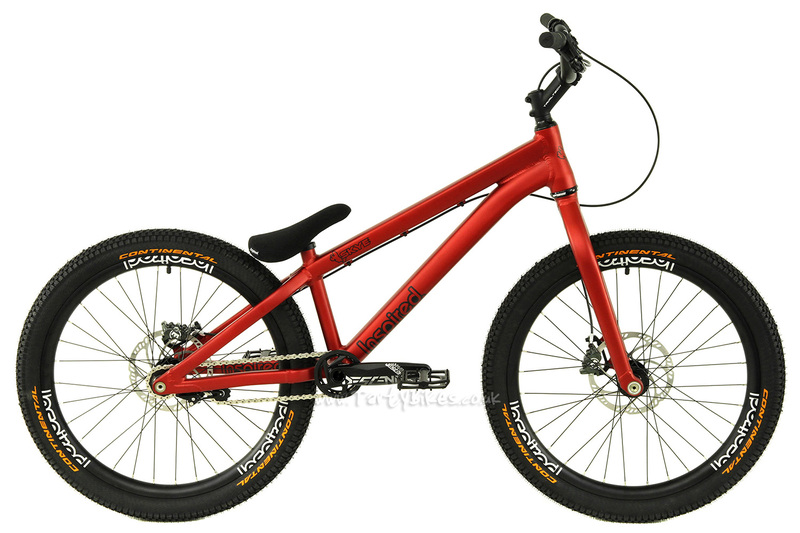 Hi, do you know when you have the red inspired skye frame kit in stock? We don't have a re-stocking date from Inspired for this framekit, sorry! 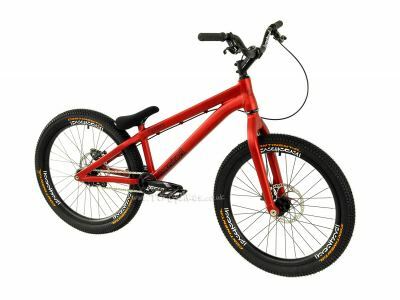 They make a small batch of frames each time, and if all the frames are allocated to complete bikes then that means they aren't able to offer them as a frame kit. That has been the case with the latest shipment of red Skyes, unfortunately. Hi, Unfortunately the Inspired Skye Frame Kit is sold out and the complete bike kit is available. Can I buy only the Inspired Skye Frame Kit? Unfortunately we aren't able to split the Skye Team bikes, sorry. 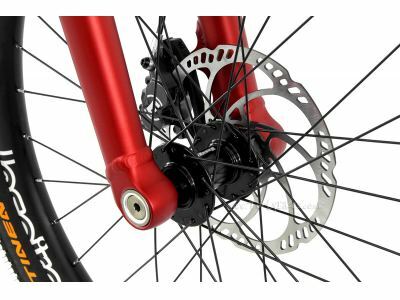 The bikes arrive with us largely assembled, so the parts all have the usual marks associated with being fitted to a bike which mean we can't sell them on separately as new products. hello alguien podria traermela a argentina buenos aires? por que asi evito pagar impestos de aduana custom?¿?¿?¿? Shipping to Argentina is no problem, although it isn't possible to get around the customs fees, sorry. As it is clear we are shipping to you from an online shop, it's easy for your country's government to check the real price of items we sell. If they find that there is a discrepancy on the customs invoice, they typically impose a large fine. 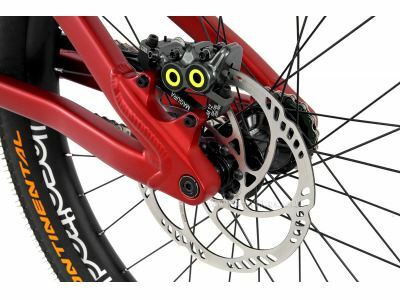 Can the cranks be switched to 170mm rather than 175 when ordering? Also can you confirm if the Skye now comes with the fsa headset or the hope. Your spec lists hope but pictures and inspired’s pages show fsa. Hi. 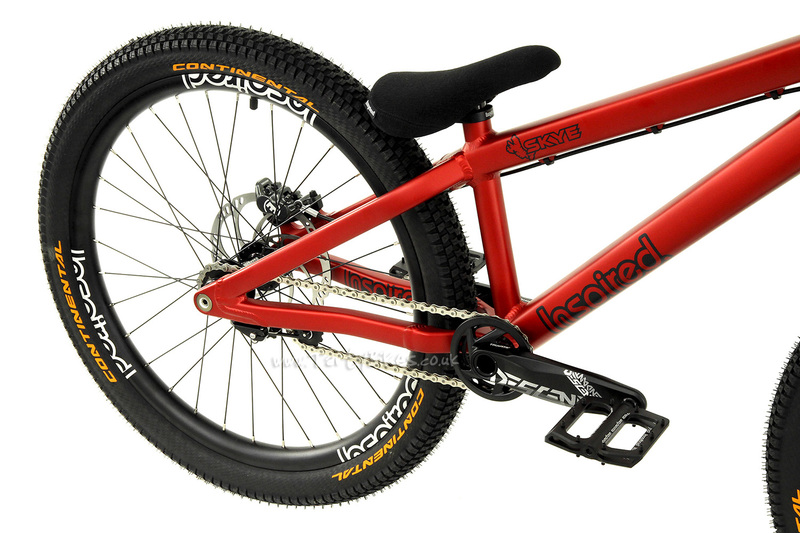 With the standard Hope brakes are the hoses braided or regular plastic? 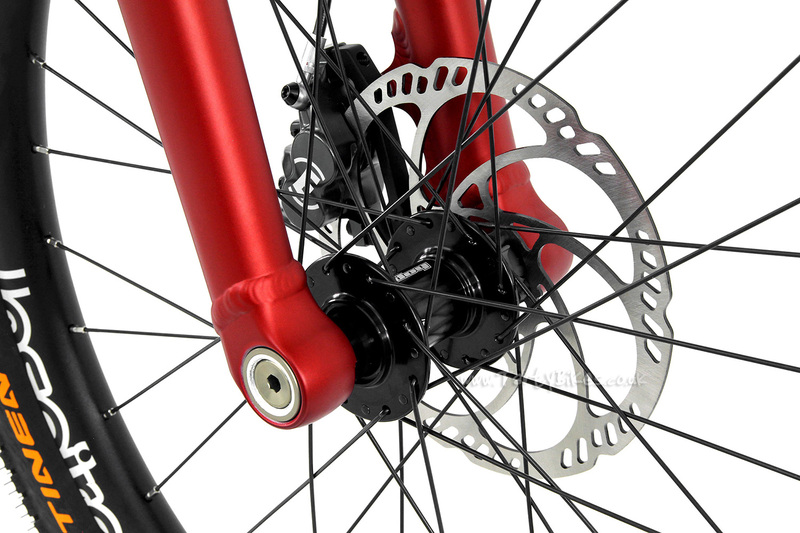 Also is it possible to request that the brakes are left U.K. style with front on the right for a bike shipped to Canada? What is difference between before skye. 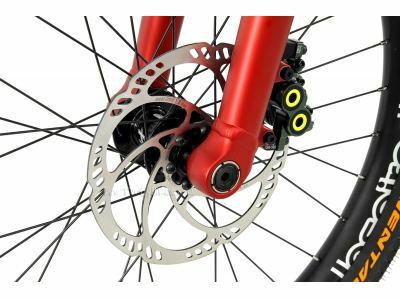 (gray color) and the macaskill brake upgrade is disappeared? 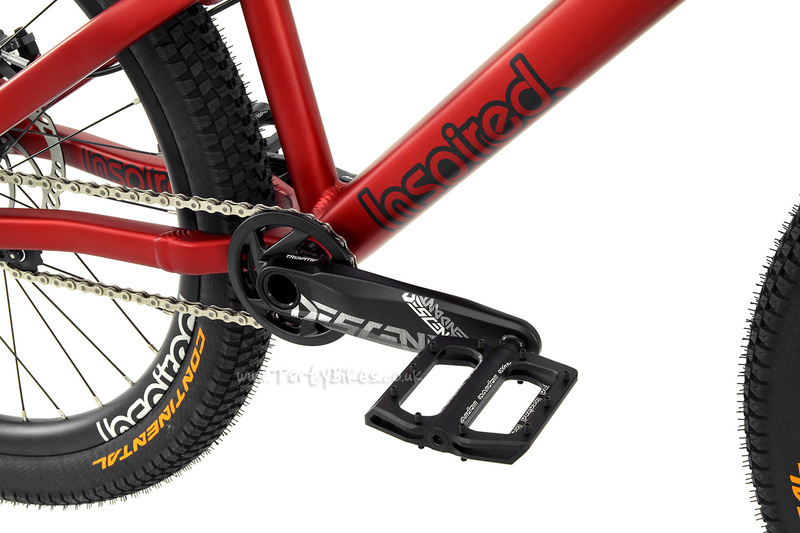 Can the crank arm length for the Hope option be changed to 165mm? 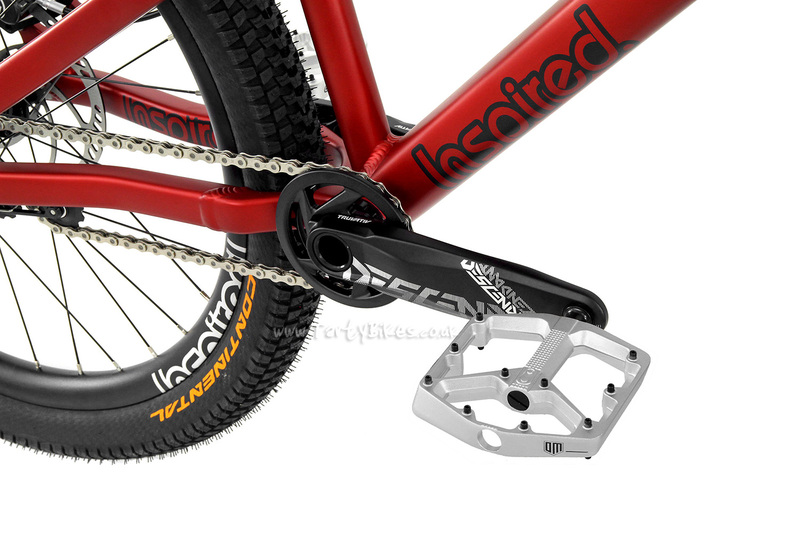 And can Hope F20 pedals also be substituted? Hi there. I'm really keen on an inspired sky. I'm not sure which to buy, and in my opinion, if um going to spend a decent amount of money I might as well buy the best one there is. What model would you suggest? I am from South Africa so I would have to have the bike shipped here. Would shipping here be possible? Thank you very much. Please get back to me. Hi, what's the difference between a Hope pro2 and a pro4 hub? Thanks! 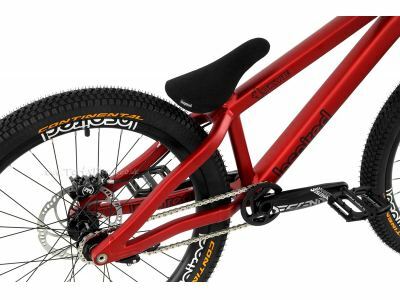 Hi, I was wondering what the gear ratio on the front and back sprockets are on the Skye compared to the console. Thanks! Hi! Is this how the color of the frame looks outside? http://www.biketrialstation.com/tb24skye.html On Tartybikes' site it looks so blue-ish. 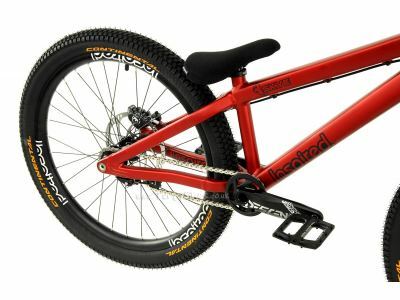 http://www.tartybikes.co.uk/24_inch_trials_bikes/inspired_skye_team_v3/c50p13077.html Thanks, Johan. Hi! I wonder if i live in Houston, how long can i get my bike? 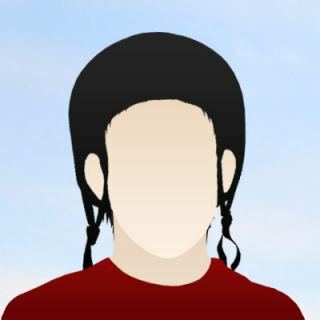 And where is this bike from? US or UK? Hi! 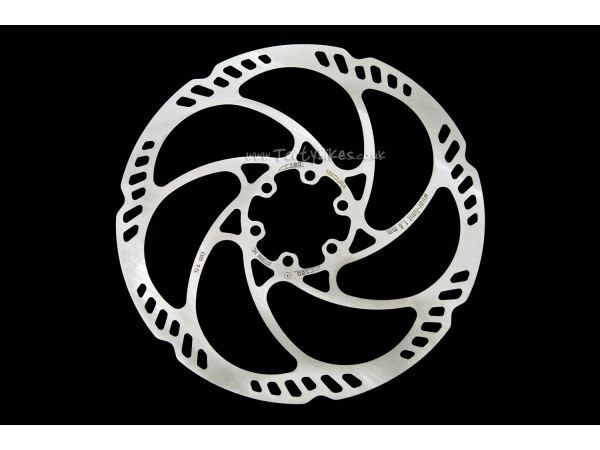 Does 200mm/203mm rotors rear and front fit on this bike? Thanks. 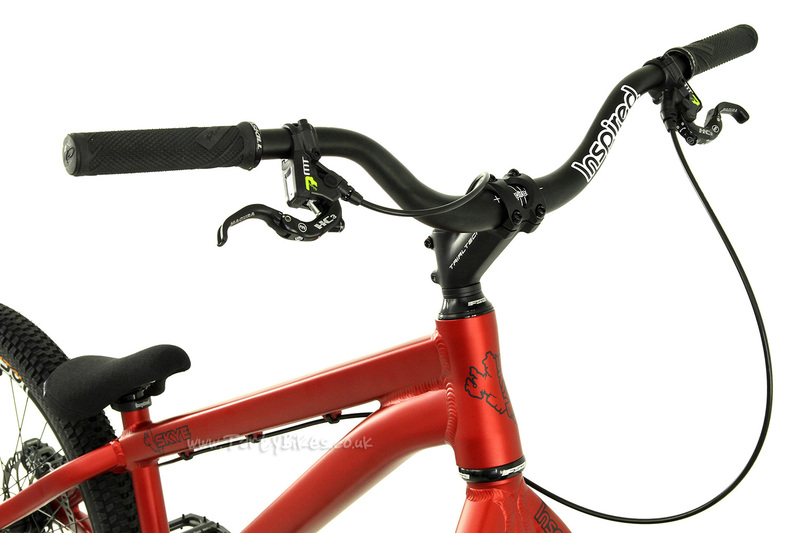 What are the differences between this and the arcade frame wise and how does it change the feel/ control over the bike? Stops your pride and joy falling over! Makes working on your bike easier!